Car accidents often cause debilitating and long term injuries. Some of these injuries, including leg crush injuries, require extensive treatment and involve long recovery periods. One of the most common injuries that can result from a car accident is a broken bone injury. It is not uncommon to see a cast on a car crash victim’s leg, but in some cases, it can be worse. While broken bones are extremely painful, there are more serious injuries such as a crushed leg that can occur from a car accident. A crushed leg means that it is fractured in several places, and it is needless to mention that the overall damage and pain caused is much greater compared to a simple fracture. A crushed leg can have severe and even life-threatening consequences. In this post, our St. Louis car wreck attorney will discuss the possible consequences of a crushed leg. Hip fracture: If you have suffered a hip fracture as a result of a crushed leg injury, you may need a partial or complete hip replacement in order to restore the complete function of the joint. Hip dislocation: A crushed or twisted leg injury can cause hip dislocation, and doctors may have to insert screws in the hip joint to ensure that it heals properly. Amputation: If the leg is crushed severely and is beyond repair, or if a fragment of the broken bone has severed an important artery, it may necessitate surgical amputation below or above knee level to save a life. Paralysis: In case trauma to the pelvic region affects the spinal cord, the victim may suffer a complete loss of function below the waist. 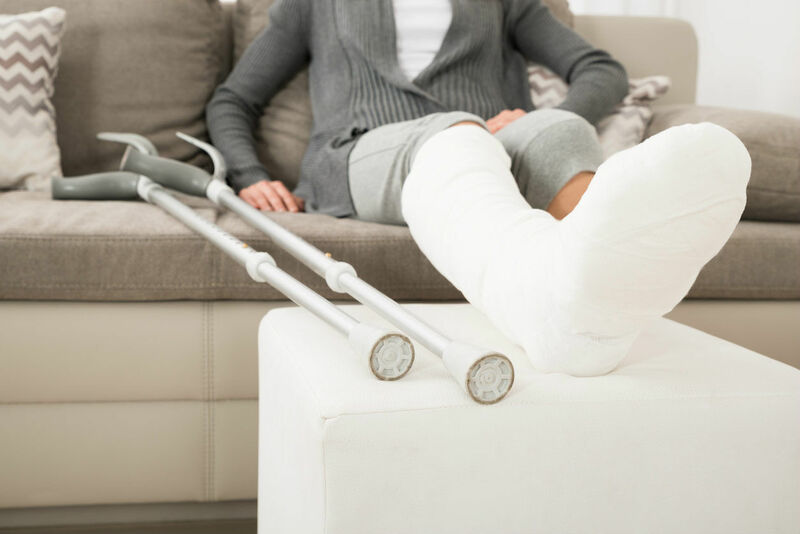 The victims of a crushed leg injury often require prolonged hospital stays and long term medical care. They also suffer debilitating restrictions concerning their ability to earn a livelihood. Huge medical expenses combined with a loss of income can put anyone in a state of financial despair. However, if the car accident that resulted in your injuries was caused by another person’s negligence, you may be able to recover all your losses including medical expenses, therapy and rehabilitation costs, loss of income and pain and suffering from the party at fault. Injured in a St. Louis Car Wreck? Our experienced injury lawyers can evaluate your claim for free and help you understand your legal rights in the state of Missouri. Give us a call 24/7 at (314) 361-4242.